Q. How do I find foreign language DVDs? Note that capitalization is not necessary. 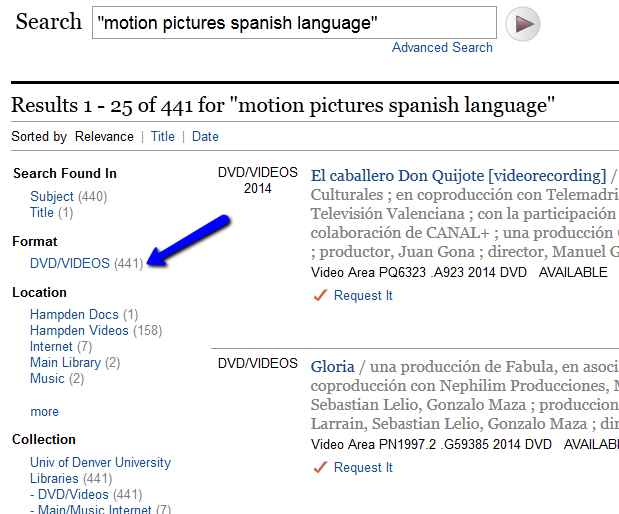 If you need assistance with this or finding any other type of material for your research or pleasure, please contact the Research Center at 303-871-2905 or use our email form or chat box by clicking on the ASK US button on the libray's homepage http://library.du.edu/ The Research Center is open seven days a week and until midnight Sunday-Wednesday.